25%+ NET Return on sales. 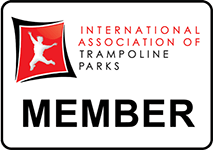 Chance to purchase a state of the art FRANCHISED indoor trampoline park which has quickly become the ultimate family entertainment destination. The opportunity is fantastic. The park has gained a strong reputation for providing a great a family entertainment experience. The business is well established and has entrenched itself into the local community evidenced by strong reviews on both Google and Yelp. A great location and strong service staff make this a turn-key opportunity that you won’t want to miss out on. Excellent hours of operation. Financing is available for qualified parties. The park has large open and supreme trampoline jump areas, trampoline dodge ball court and basketball court, and fitness programs available to the general public. Also offers fund-raisers, hosts birthday parties, etc…This highly profitable opportunity is set up for a new owner to take over immediately and continue to enjoy the benefits of the hard work of the previous owner. Entry into this industry is difficult to establish due to the facility size required coupled with required convenience to customers and the costs required to build ranging from $1.75M and upward. Facilities: Located in the highly desirable and densely populated Montgomery County. Competition: The first, largest, and best-known franchised brand in the trampoline park industry. Growth and Expansion: Business is and always has been 100% ABSENTEE OWNED. A Buyer who is able to devote time and have more of a presence...should certainly be able to eclipse sales of current Ownership. Support and Training: Seller will provide assistance to assure a seamless transition occurs. New Franchisees must attend training as required provided by the Franchisor. Reason for Sale: Multiple business interests.